Reused computers for selling in the secondary market. Revertia is a Spanish company founded in 2010. Its primary purpose is to provide services in the management of Waste Electrical and Electronic Equipment (WEEE) and contribute to the efficient use of resources. The start of Revertia is linked to the increasing consumption of electrical and electronic equipment, which has resulted in corresponding increase in the generation of WEEE. Although we provide services to all types of WEEE, our company is mainly focused on the management of obsolete computer equipment. We opted to reuse them as the best treatment options in accordance with the European principle of hierarchy in waste management (reduce, reuse, recycle, recovery, disposal). Many of these equipments can have a second life. Revertia tries to recover and make them reusable. When this is not possible anymore, we recycle them. So, we promote circular economy through the reuse of WEEE and when reuse isn’t feasible through the recovery of raw materials at recycling plants. One of the most innovative aspects of our range of services is the carbon footprint analysis we carry out. This allows the positive impact on the company’s CO2 emissions to be quantified, resulting from the reuse of obsolete equipment compared to the manufacture of new devices. Last year we managed 140 tons of WEEE and reused 30% of total waste managed, avoiding 250 tonnes of greenhouse emissions to the atmosphere thanks to our reusing activities. Reducing the amount of waste generated by ensuring a more rational use of natural resources. Reducing the extraction of natural resources and raw materials, many of them critical. Saving the emissions of greenhouse gases. Creating green jobs (in the last year 4 new jobs have been created). 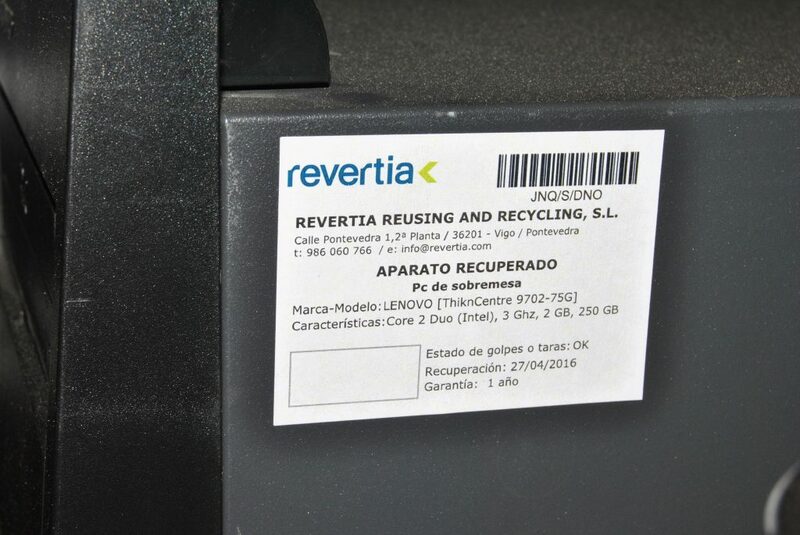 The Spanish regulation (Royal Decree 110/2015, about WEEE) is favorable since it establishes specific targets for preparation for reuse from 2017, with a target of 3% in the case of computer equipment and small telecommunications devices. In 2018, this target will be augmented to 4%. Spain is the only country with the Belgian Region of Flanders to establish specific reusing targets separated from recycling. However, EU legislation often lacks this clarity. We have difficulty accessing financing especially from the extended producer responsibility schemes.